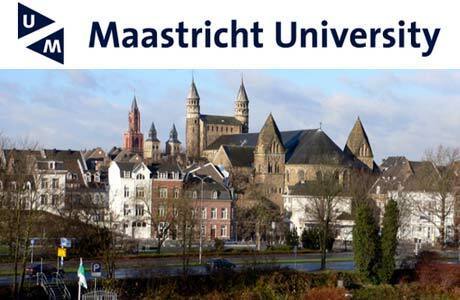 Maastricht University (UM) is a European university with a strong international outlook. Cherishing and stimulating talented people and creating opportunities for innovative education and research relevant to today’s society are our core values. You must be admissible for a master’s programme or graduate programme for professionals at Maastricht University and not be older than 35 years at the start of the academic year. You may apply simultaneously for a master's programme and this scholarship. Additional requirement for Psychology: you must be ranked in the top 5 % of your Bachelor’s programme (full programme). This must be proved by an official statement of the University. Please note that your scholarship application will not be taken into consideration without this top 5% statement. As an applicant you must have obtained excellent results in your previous studies. This must be shown in the application file by including for example grade lists or reference letters. In case of equivalent qualification we will give preference to applications which show that the applicant is among the top 5%. You must come from a country outside the EU/EEA and meet the requirements for obtaining an entry visa and residence permit for the Netherlands. The High Potential scholarship is awarded for the duration of the Master's programme with a maximum of 12 months. In case of a two-year Master's programme the Scholarship Committee will award the scholarship for a maximum of 24 months. Students can download the application form here. On the section Application and Selection, you can find information about how to send in the application form. This differs per faculty. The UM High Potential Scholarship and the Holland Scholarship are combined programmes. Therefore, to be eligible for the High Potential Scholarship, you will have to apply for the Holland Scholarship at the same time. You can do this by going to the following link (choose the section incoming). > You hold nationality in a country outside the EU/EEA and meet the requirements for obtaining an entry visa and residence permit for the Netherlands. > You meet the specific admission requirements of the UM Master’s programme to which you have applied. > You have never participated in a degree-seeking higher education programme, a primary education programme, or secondary education programme in the Netherlands. Students who completed exchange programmes in the Netherlands are welcome to apply. > You are not over 35 years of age on 1 September 2019. > You have obtained excellent results during your prior education programmes, as demonstrated by your latest grade transcript or certified by academic excellence. If several applicants are equally qualified, we will give preference to applicants whose academic transcript or certified letter of academic excellence demonstrate that they are among the top 5% of the 2019/20 scholarship programme applicants. Application deadline: 1 February 2019 or 1 May 2019.